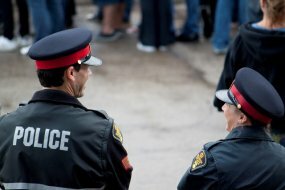 The Saskatoon Police Service offers policing services to assist special event organizers. Special events policing requests are applicable to private, for-profit events as well as for charitable events and city-sponsored events. The SPS may provide the services of a uniform or plainclothes police officer. Depending on the specific event, there may be a cost to event organizers. As of July 1st, 2018 the Special Duty Policing hourly cost per officer is $126.86 per hour (plus GST) with a minimum charge of three (3) hours for each officer . You will be billed at the same rate for each additional hour requested above the three (3) hour minimum. Rates may change without notice. The rates charged will be those in effect at the time of the event and not at the time of booking. Note: any cancellations/changes require 36 hours advance notice to avoid minimum charges. 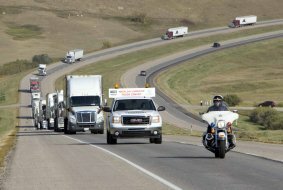 Duties related to special events include, but are not limited to: parades, roadway events, festivals, civic celebrations, major concerts or sporting events, filming, trade shows, traffic control, building escorts, oversized/weight load escorts, security and crowd management. Special events may be a one time, infrequent, or annually occurring activities that take place within the City of Saskatoon facilities or roadways. Marches/Walks/Demonstrations that utilize the public streets must be prepared to supply route marshals to assist in ensuring the safety of their own participants. These marshals must be equipped with high visibility vests and be present in a ratio of one (1) marshal per fifty (50) marchers. **Event applicants should also review the City of Saskatoon Special Event application form as it may pertain to their event. All requests to the SPS for assistance at pre-planned special events must be made thirty (30) days in advance of the event. However, in exigent circumstances where only minimal planning is required, applications may be received within thirty (30) days of the event. For additional information and requirements, or to apply – please refer to the SPS Special Event Assistance Application form. After completion the form may be emailed to special.events@police.saskatoon.sk.ca , mailed to Box 1728 Saskatoon, SK, S7K 3R6 or delivered to #76 25th Street East Saskatoon, SK. SPS works in conjunction with other agencies (Saskatoon Fire Department, Saskatchewan Liquor and Gaming, Emergency Measures Office, City Representatives from various departments) on a Special Event Interdepartmental Committee. This Committee reviews the Special Event applications prior to approval. Depending on size, scope, and event history, applicants may be requested to meet with the Committee to provide additional information or provide clarification regarding the application. You will be contacted by a City representative if a meeting is required.